Each month we continue to award our customers for their winning “Share Your Story” submissions! And, we have found this to be an extremely helpful process; it’s a “gut check” of sorts, helping us continually align our products, support, and services to ensure that we always meet your needs as our customers. We love when our trade professionals contact us through this program to share their own experience with us. To hear back from a happy trade pro customer, affirms our efforts to offer the very best in products, services, and education, here at WarmlyYours Radiant. This month, we received a great story from Michael Ferreira, a general contractor who owns and operates his own business in Winnetka, California called, Ferreira Construction. Take a look at his story about his positive experience with WarmlyYours Radiant services and products. We’re glad we’ve made it easy for him to sell radiant heating to his customers! I normally don't do customer surveys or feedback because I am too busy running my own business. I'm a general contractor, and I'm usually checking on jobs, talking to customers, doing estimates, and getting materials to the job sites. And, because the economy is slow, I can't afford a full time person to take care of my paperwork, so that means I'm busy into the night a lot also. My time is limited in order to stay on schedule, and in the construction business, very few jobs go as planned. As a contractor, I depend on my suppliers to answer their phones or return my calls. And, I took time to write this testimonial because I was amazed and very pleased by the professionalism, promptness, help, and follow up by the people at WarmlyYours Radiant. They don’t simply sell their product and move on to the next sale; they were there for me at every step, from ordering to installation. 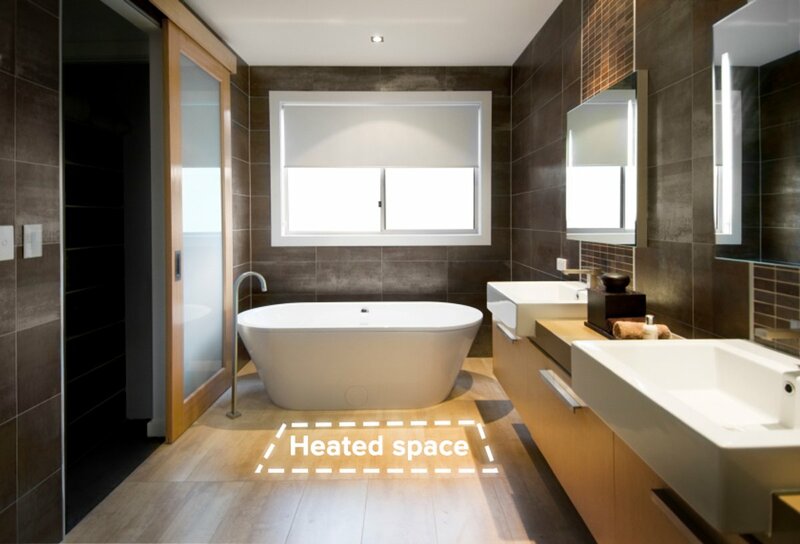 Not only were they helpful and pleasant to do business with, but also their product is very easy to install, works great, and is very affordable compared to the other traditional floor-heating competitors. And I have to mention, their warranty is simply unbeatable! I now have a floor-heating product that I can offer to my customers that they can actually afford. WarmlyYours … It's a pleasure doing business with you guys! If you enjoyed this story, you may enjoy reading about last month's “Share Your Story” winner, James and Anne Church, "My Own in-House Spa" or read through all of our winner's stories!